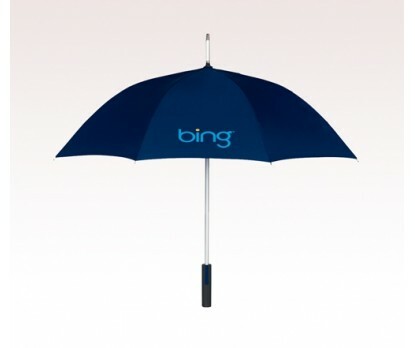 Personalized navy blue 46” arc spectrum umbrella makes a reliable gifting choice for marketers who are working in healthcare, technology, aqua and marine engineering services. This umbrella can be handed out as a gift during promotional events and as parts of sales driving during festival events. People will be encouraged to retain it for long time due to its color profile and large canopy. Features - Windproof Canopy. 46 arc navy blue pongee canopy. Strong aluminum frame. Automatic Open Function. Dimensions - 46” arc closes to 33”.